Otto von Hapsburg, the onetime heir to the imperial throne of Austria-Hungary, who during a long career in European politics was a strong proponent of unifying the divided continent, died July 4, 2011 at his home in Pöcking, Germany. He was 98. Otto did not, however, fit the part of the exiled would-be monarch waiting for his throne to be restored. He remained deeply involved in the turbulent events of the last century, opposing the Nazi annexation of Austria and later serving two decades as a member of the European Parliament. The House of Hapsburg was an important royal house of Europe and is best known as supplying all of the formally elected Holy Roman Emperors between 1452 and 1740, as well as rulers of Spain and the Austrian Empire. 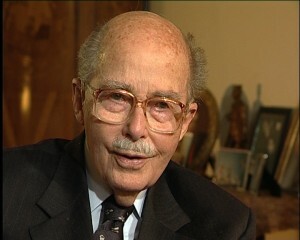 Otto von Habsburg has been the head of the House of Habsburg since 1922. He is the former Crown Prince (1916–1918) of Austria, Hungary, Croatia, Bohemia, Galicia and Lodomeria and Illyria, and since 1922 the Habsburg pretender to these thrones as well as the titular King of Jerusalem. In a declaration dated May 31, 1961, Otto renounced all claims to the Austrian throne and proclaimed himself “a loyal citizen of the republic,” a move that he made only after much hesitation and certainly “for purely practical reasons”. Austria is a landlocked country of roughly 8.3 million people in Central Europe. It borders both Germany and the Czech Republic to the north, Slovakia and Hungary to the east, Slovenia and Italy to the south, and Switzerland and Liechtenstein to the west. It can can be divided into five areas, the biggest being the Austrian Alps. Popular tourist destinations are Salzberg, Vienna and Innsbruck. November–April is the ideal time to indulge in winter sports and Christmas festivities, while in the summer months, various events like the Salzburg festival can be enjoyed.